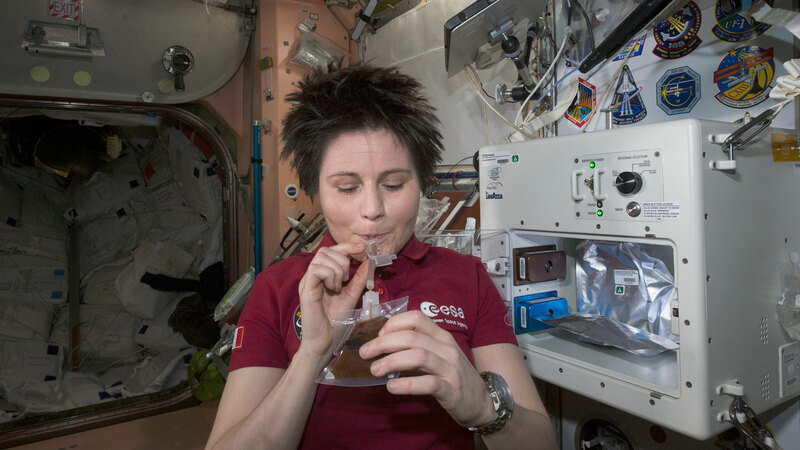 ISS043E160082 (05/03/2015) — ESA (European Space Agency) astronaut Samantha Cristoforetti enjoys her first drink from the new ISSpresso machine. The espresso device allows crews to make tea, coffee, broth, or other hot beverages they might enjoy. The return to Earth for NASA’s Terry Virts, ESA (European Space Agency) astronaut Samantha Cristoforetti and Russian cosmonaut Anton Shkaplerov now is scheduled for early June. 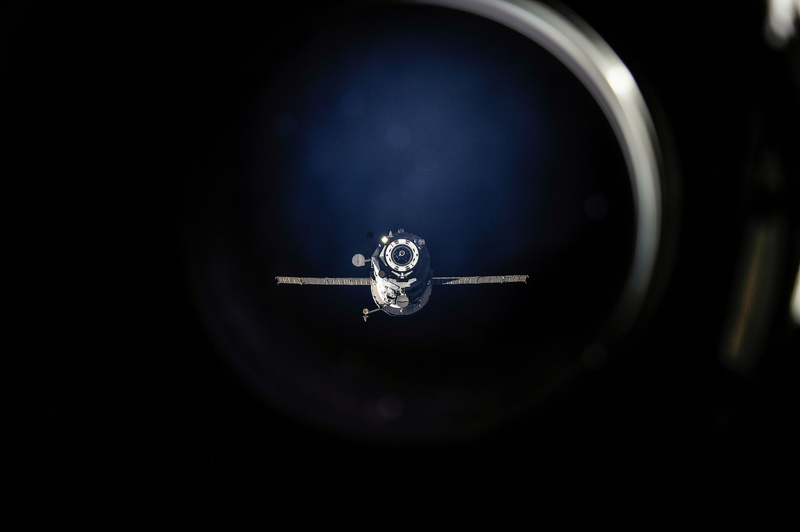 NASA and its international partners set the schedule after hearing the Russian Federal Space Agency’s (Roscosmos) findings on the loss of the Progress 59 cargo craft. The exact date has not yet been established and will be announced in the coming weeks. The six-member Expedition 43 crew worked Tuesday on a wide variety of tasks. 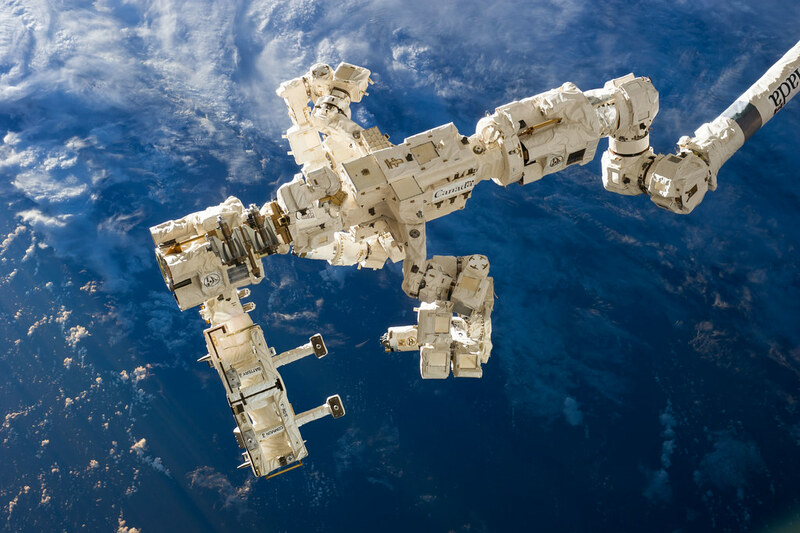 The International Space Station residents explored life sciences, trained for a robotics experiment, conducted maintenance and prepared for next week’s departure of the SpaceX Dragon cargo craft. 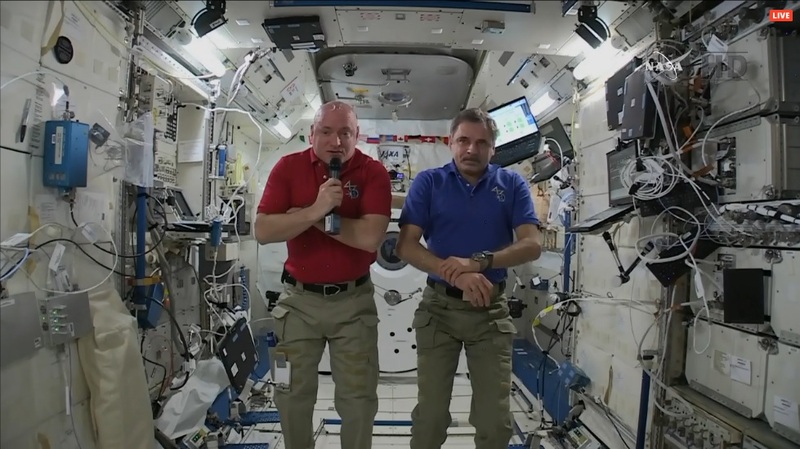 Astronaut Scott Kelly worked on an experiment which observes how a crew member’s fine motor skills adapt over a six-month and a year-long mission in space. He then moved on to training for the Robotics Refueling Mission. Italian astronaut Samantha Cristoforetti worked on the Rodent Research experiment during the afternoon. 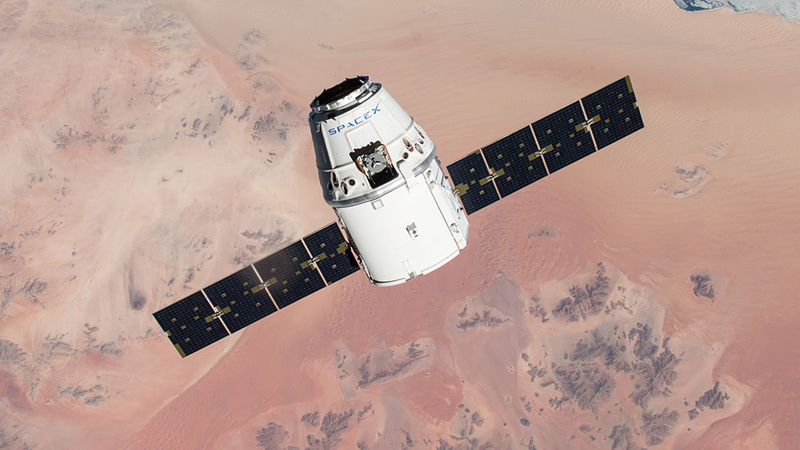 Commander Terry Virts worked on cargo transfers to the Dragon space freighter which is getting ready for its May 21 departure and splashdown. The three cosmonauts Anton Shkaplerov, Gennady Padalka and Mikhail Kornienko, worked in the Russian segment. The trio cleaned dust filters, changed out a smoke detector and downloaded results from a microbial air sampling.